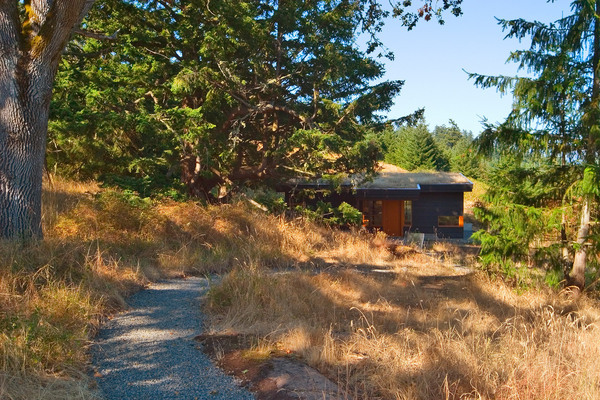 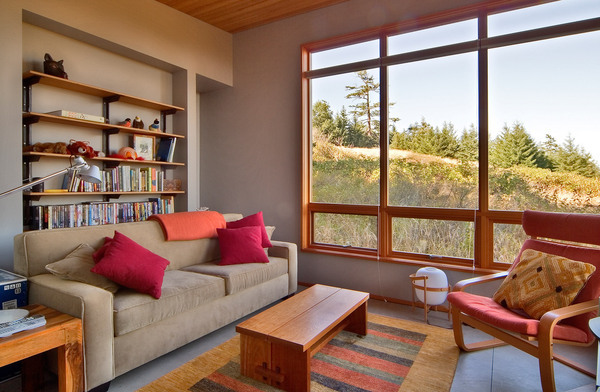 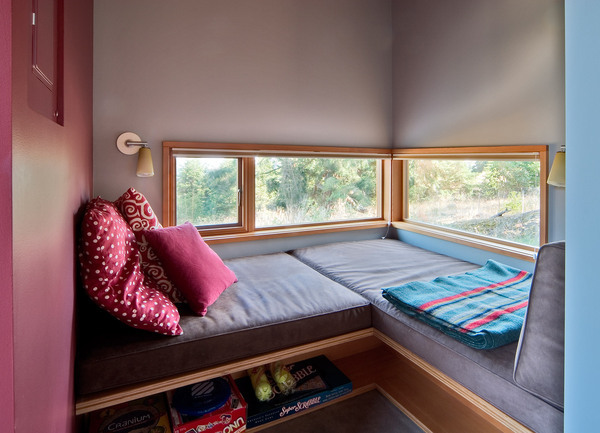 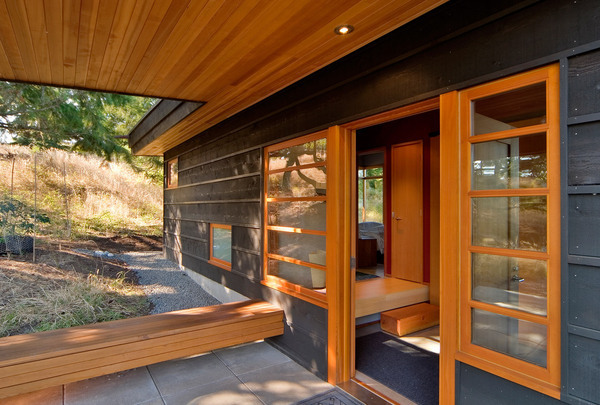 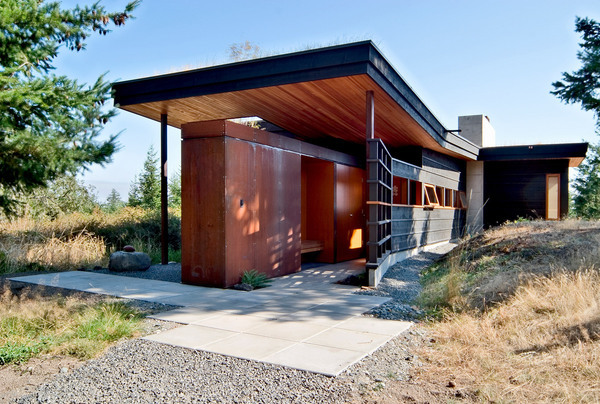 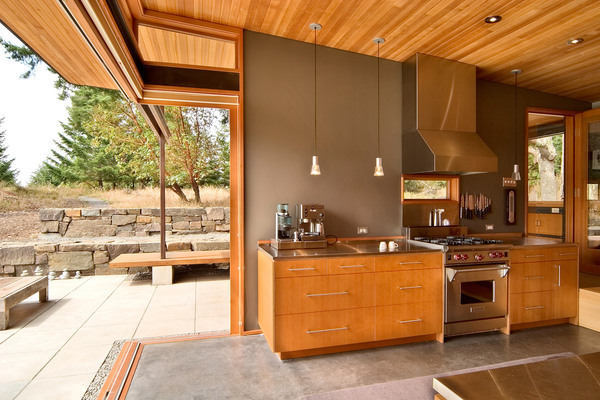 Nestled on the top of a small mountain in the San Juan Islands, this retreat combines the clients’ desire for privacy with their desire to experience the landscape and expansive views to the east, south, and west. 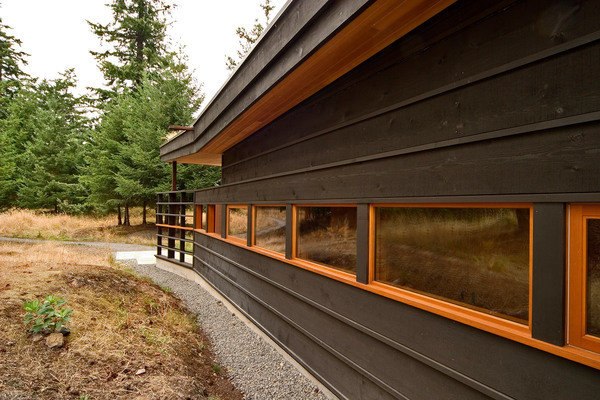 The three separate forms (sleeping cabin, main house, and guest house) complement one another both spatially and through the use of materials. 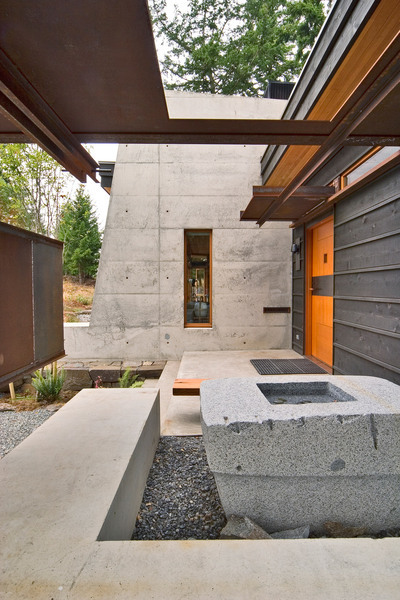 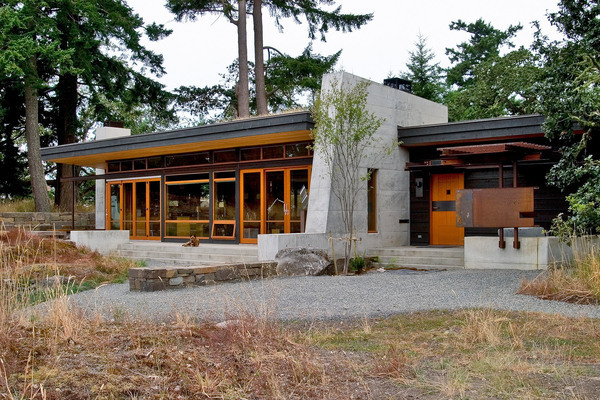 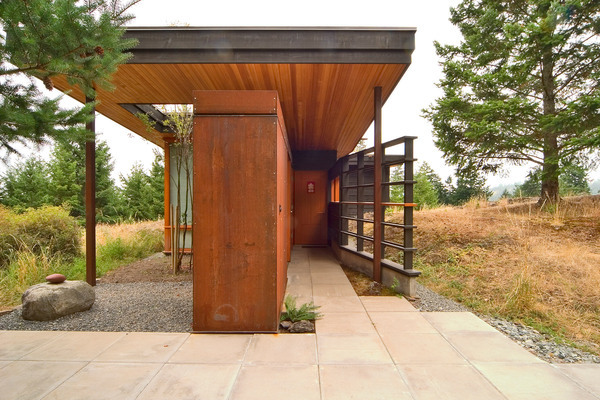 The idea of being ‘one’ with the natural environment was essential, accomplished in part by using natural materials that reflect the unique site and the Northwest region. 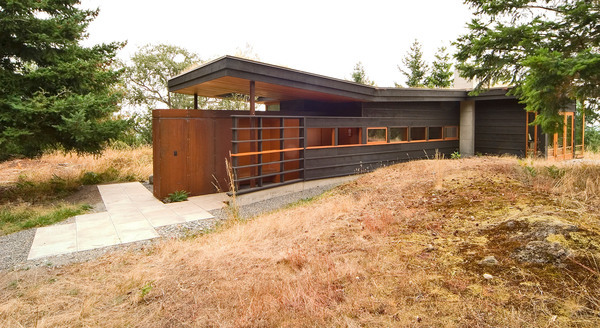 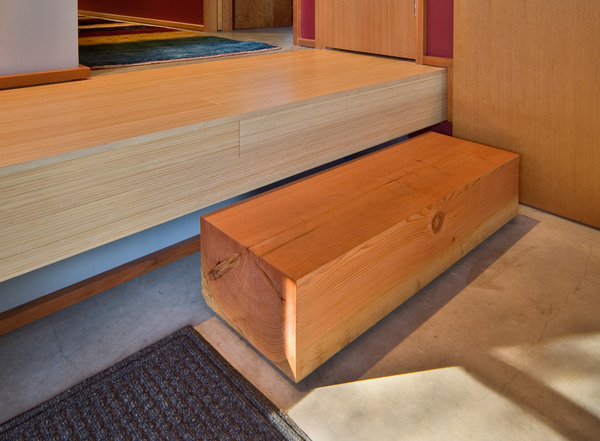 The use of wood was a key component, from structural members to exterior siding and interior details. 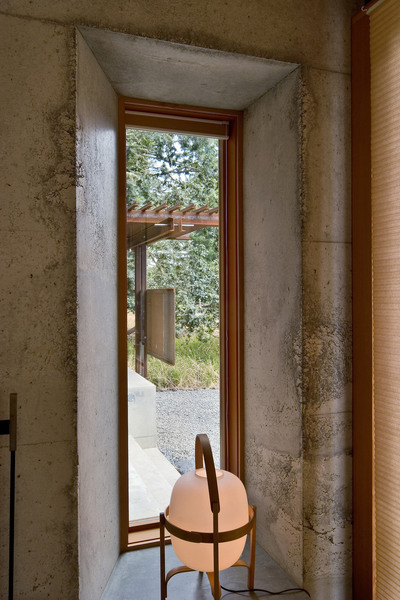 It enhances the feeling of warmth in the spaces and directly connects them to the landscape, an essential element in the design. 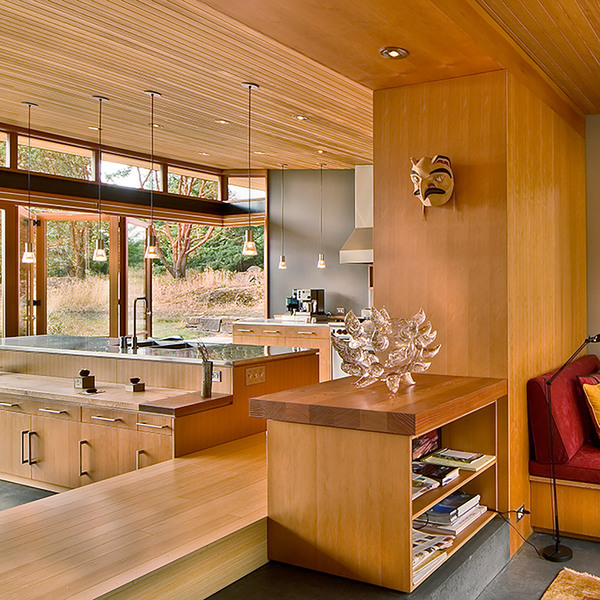 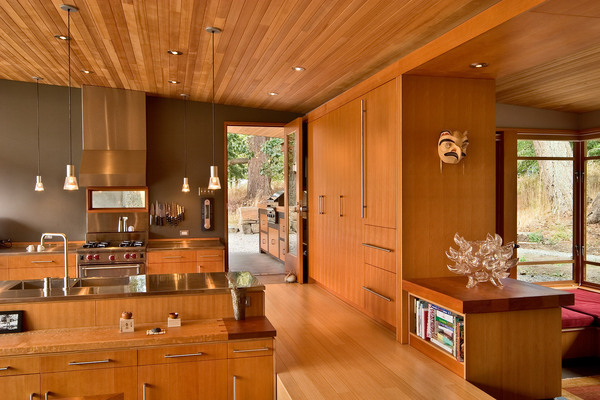 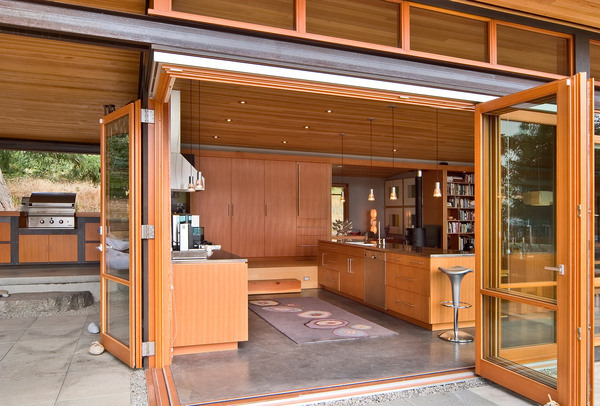 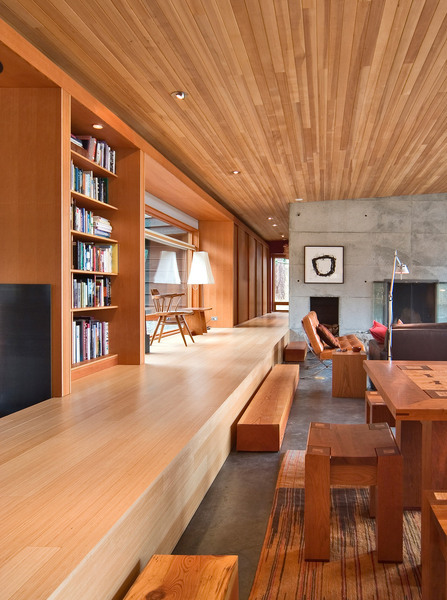 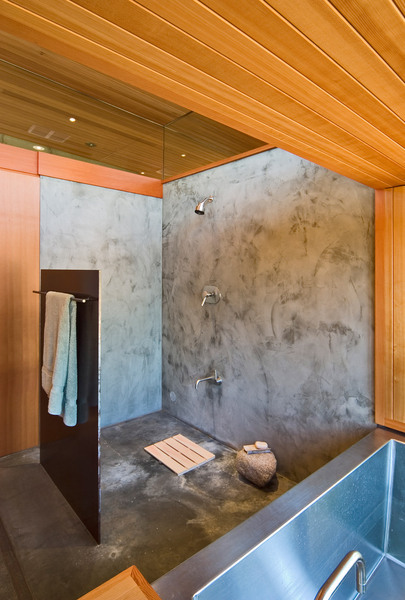 Detailing in the spaces uses clean lines, natural materials, and brings in plenty of natural light. 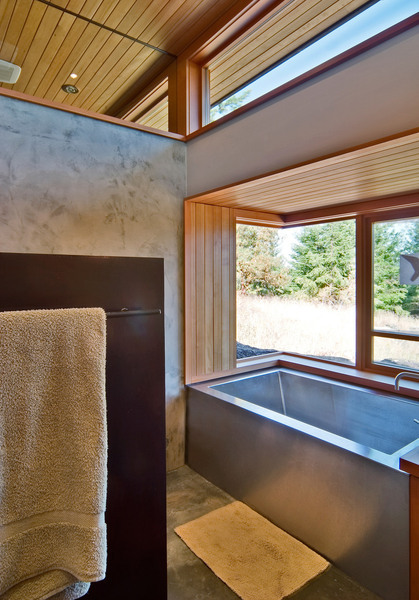 The retreat was designed with environmental sensitivity in mind: well sited structures, sod roofs, and a concrete fireplace (thermal mass) all relfect best practice solar design principles.